6 Should you buy it? Just like sound and light, your environment's scent is essential in making you feel relaxed, happy, or excited. That's why there are entire industries built around making your home smell nice. Sprays, candles, gels, battery-powered air fresheners, aromatherapy scent diffusers, you name it, there are thousands of choices for it. But smart, or to be more pedantic, connected fragrance diffusers are a new market altogether. Until recently, the options were limited — Aera, Marie by Elica — but other brands are coming into the picture now. Moodo is one of them. It promises to let you "DJ" the aroma, mixing various fragrances in any way and proportion you want. I've been using it for a couple of months in my home and I really like it. But why, Rita, I hear you ask, why a smart air freshener? Well, because tech — isn't that always the best answer? And because the only air fresheners I have found here (Lebanon) are ones that can be set to a timer or manual, resulting in either tons of waste when I don't need them or in me forgetting to use them. 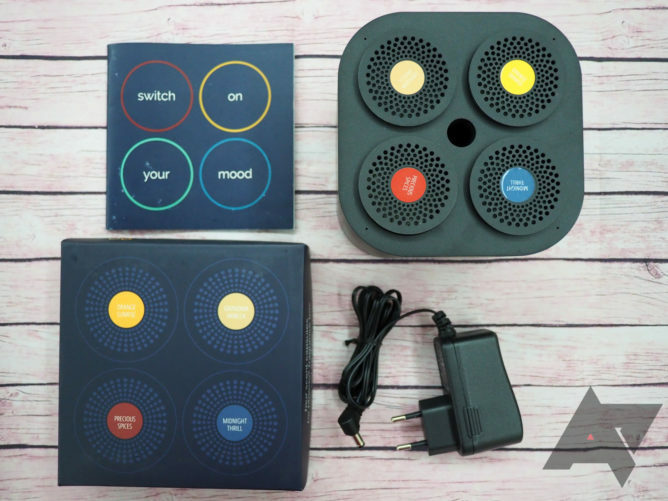 The benefit of a connected freshener is that it can be set on a schedule, turned on before you arrive home, turned off when you go to sleep or leave. 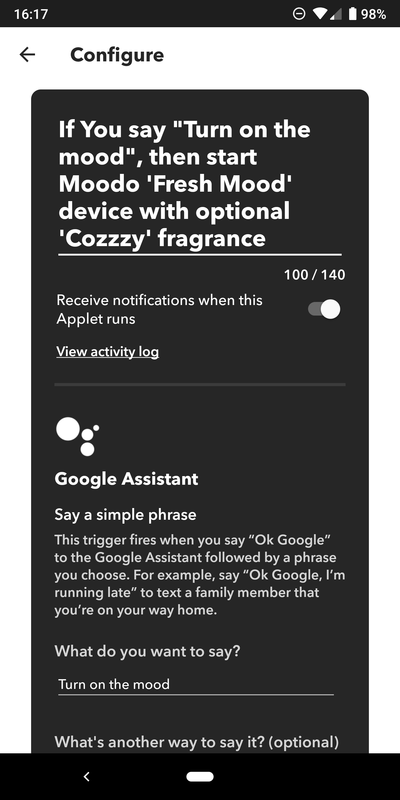 Plus it's cool to just ask Google to make your home smell nice, isn't it? Smells good Moodo fooled me more than once into thinking someone was baking cake nearby — the tragedy! Choice There are different scents and combinations, letting you personalize your home's smell. Schedule and interval Set it to turn on or off whenever you want and with the fragrance you want, plus toggle an interval so it doesn't run all the time. 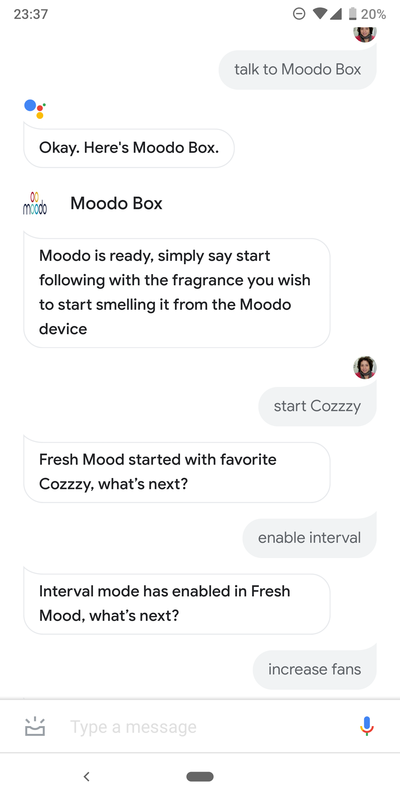 Integrations Google Home, Amazon Alexa, IFTTT, and more are supported. Price Even at the reduced price of $97.30, Moodo is a luxury item. Refills cost $30 for four capsules. Coverage area Moodo claims 600sqft (55sqm) of coverage but even in a smaller area, you'll need to keep it running for a while before the smell diffuses everywhere. Capsule duration 60hrs at full intensity. That amounts to a month if you use them at 100% for a couple of hours each day. Moodo looks like a nondescript cube of about 12cm on each side. 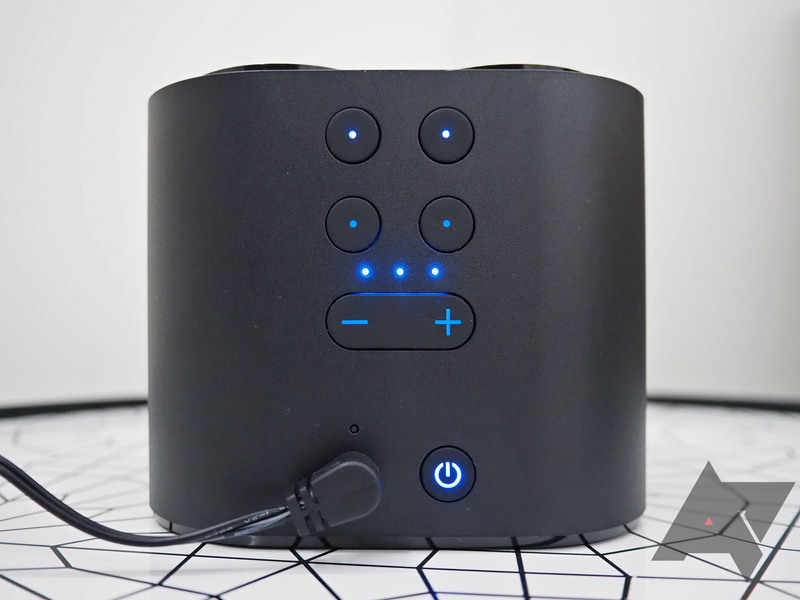 It's available in both black and white matte plastic, with four empty pods with fans on the top. This is where the scent capsules go. 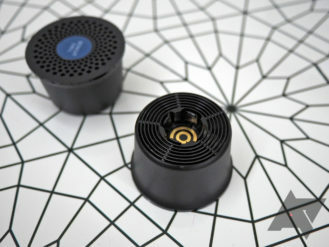 Each one is distinctive and the device can recognize any capsule you put in. 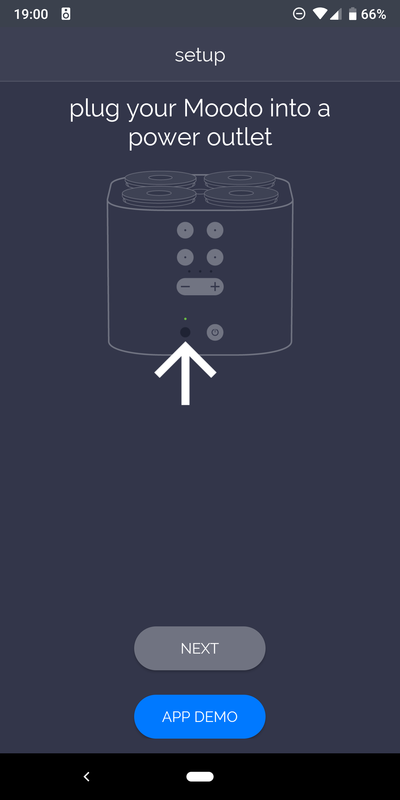 On the back, you'll find the power input plus manual controls to toggle on/off each pod's fan, change intensity, and turn off the entire unit. 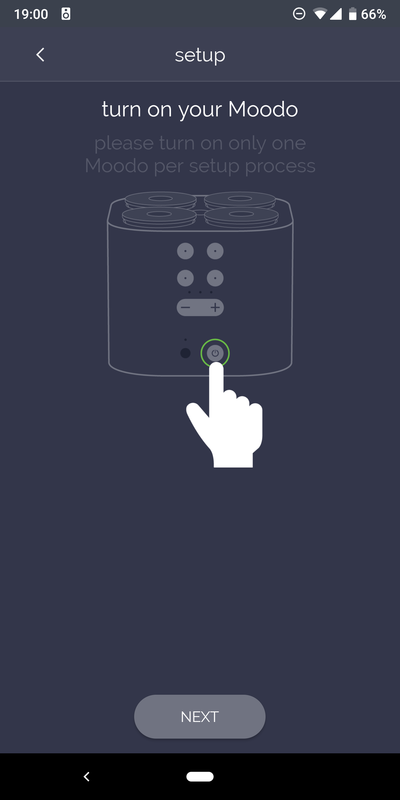 If you'd rather not use the app or smart home integrations, these buttons still give you enough control over the aroma diffused. 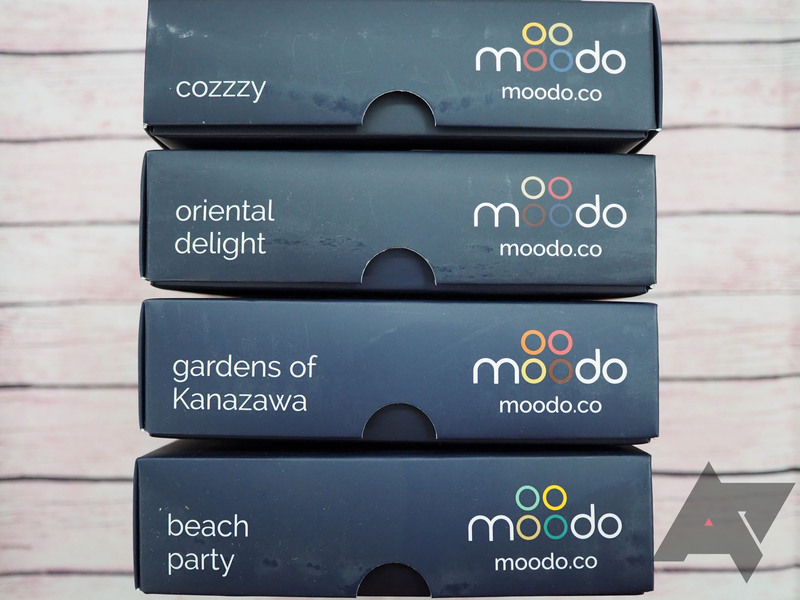 In the Moodo box, you'll find the unit, power adapter, manual, and one free scent pack of four capsules. You can also purchase additional scent families (four capsules) or packs of four capsules of the same scent for $30. In my home, I started off with the Cozzzy family, but based on their descriptions, Beach Party and Winter seem quite awesome too. 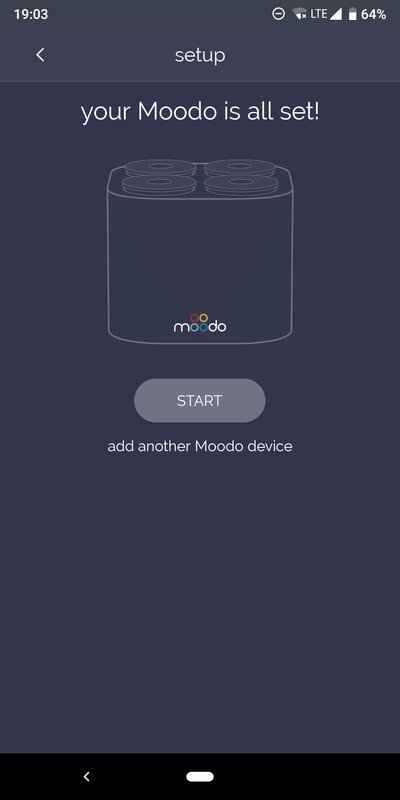 Having received a new Moodo version (older ones had issues), setup was relatively easy. 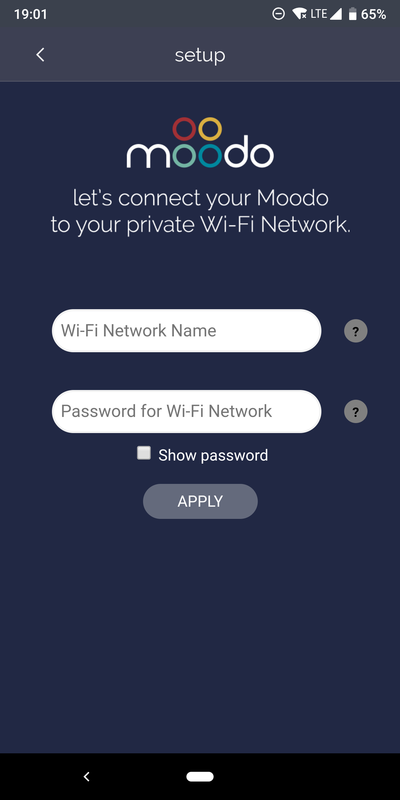 I logged in with my Google account (you can also use Facebook or create an account), plugged the device in, turned it on, connected it to my WiFi network, and gave it a name. 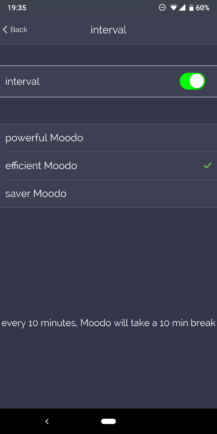 Moodo uses 2.4GHz WiFi, so keep that in mind. It's also not compatible with all mesh networks (though there's a workaround to get it connected), but I had no issues getting it to work on my Netgear Orbi. 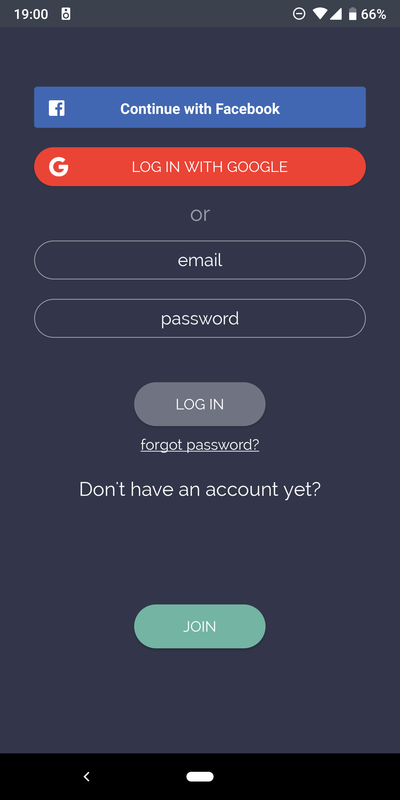 Once set up, the app is relatively simple and mirrors the device. 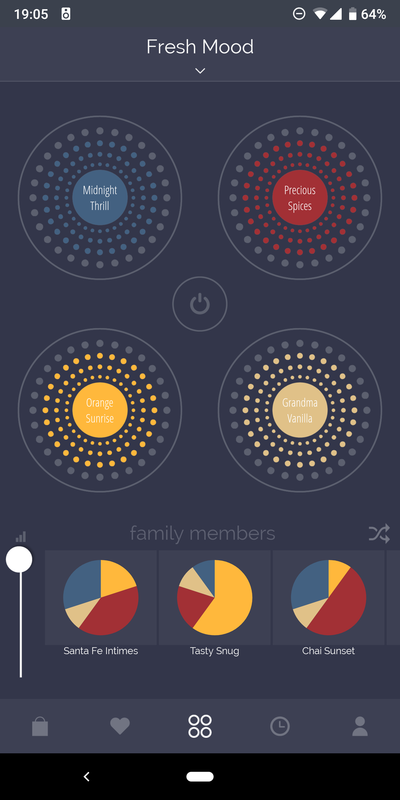 Your four scents are shown, with colored dots indicating the intensity at which every fan is working. 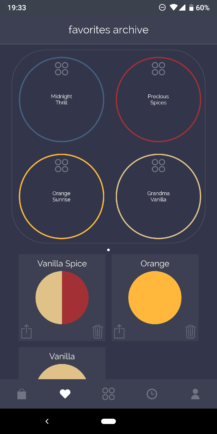 There's a power button in the middle, a general intensity selector (like a volume indicator) on the bottom left, and various aroma combinations on the bottom. 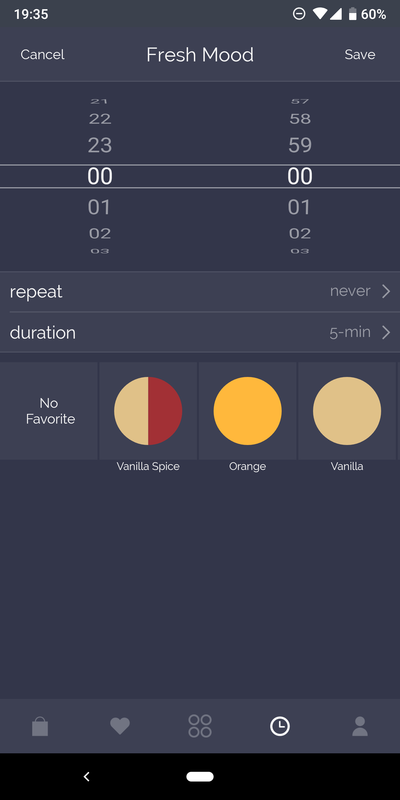 You can shuffle to pick a random one, create your own by choosing each scent's intensity, and save your favorites to come back to later. Moodo's app offers two useful features to avoid any waste. 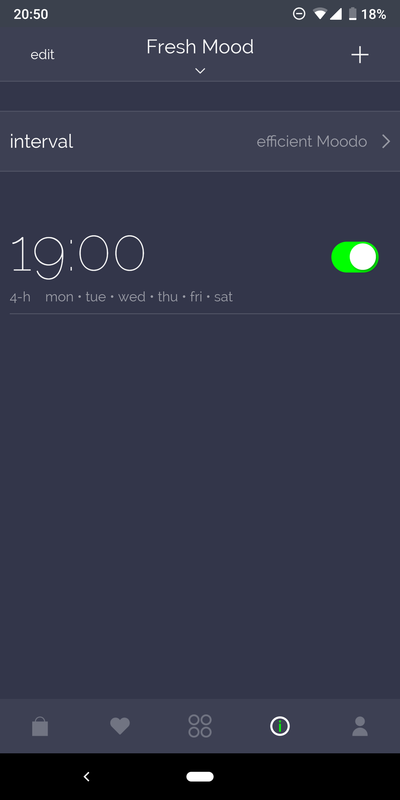 First are three interval settings that can automatically turn on/off the device every 5 or 10 minutes. 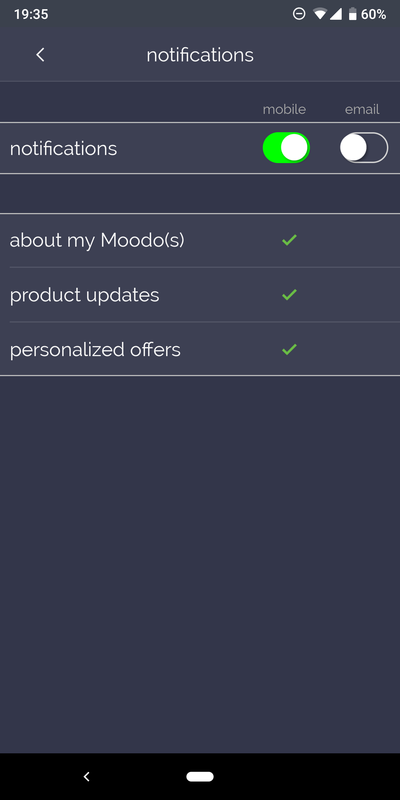 And second are personalized schedules where you can pick the day(s), time of day, duration, and scent for your Moodo to work. 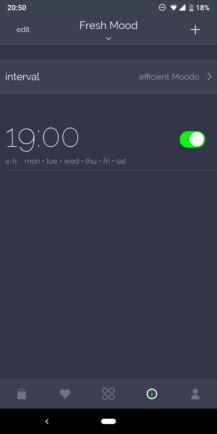 With that combination, I'm able to limit it to only run for four hours every evening, starting before I come home and ending around the time I go to bed. It's also on a 10min-on/10min-off interval, which means it's essentially running for two hours. I found that setting perfect for our living room, always welcoming me with a fresh aroma the moment I open the door, and keeping things pleasant until I head off to sleep. The app doesn't have more functionality — and perhaps doesn't need to. You can add more Moodos, share the current one with other family members, change the app's theme to white or dark indigo, enable various notifications, and manage your account. In daily use, the app is simple enough to understand, though I always find myself wishing I could simply tap any pod and increase or decrease its intensity instead of having to create a new scent mix to do that. But to be honest, once you've found two or three good scent combinations, you don't need more, and any small percentage difference isn't noticeable enough unless you have a really advanced sense of smell. It also takes a few minutes for the scent to diffuse across the room, so any change you make will require a bit of time to be detectable. 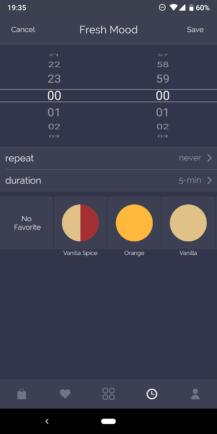 For our own use, I found myself happy with three different mixes: one that equally blended all four scents, one that focused on orange, and one that combined vanilla and spice. It's the latter that tricked me repeatedly. The first time I tried it, I was sitting in my living room and kept inhaling this familiar aroma of cake being baked. It took one hour for me to just ask my husband if it was my brain playing games or if a ghost was baking cake inside our house. He agreed with me, then a few minutes later exclaimed, "but isn't that the new smell thing you're trying?!" Of course it was, and I had completely forgotten about it. 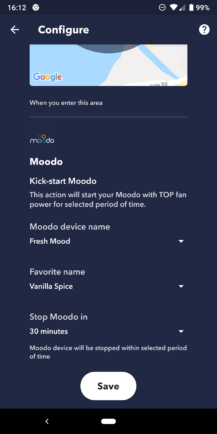 The next times it happened, it didn't take me as long to realize it was just the Moodo, but there were still some minutes in the middle where I could swear someone was making a cake nearby and I wanted a slice. 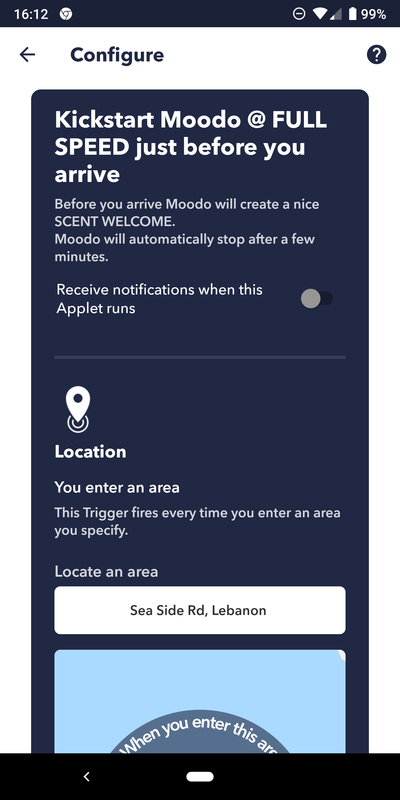 Beside Moodo's in-app schedules, you can use some smart home integrations to control the device. Google Assistant is supported, though through a non-native Action (old, new). The older one gave me a bit of headache, so I recommend you use the new one, which has been more consistent. 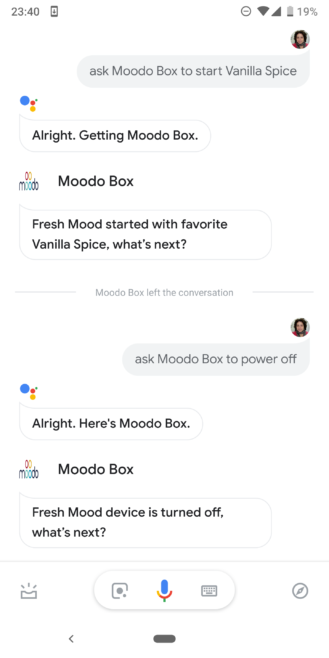 You need to "talk to Moodo Box" first, or tell Google to "ask Moodo Box to do_something," which is a mouthful and not super intuitive. 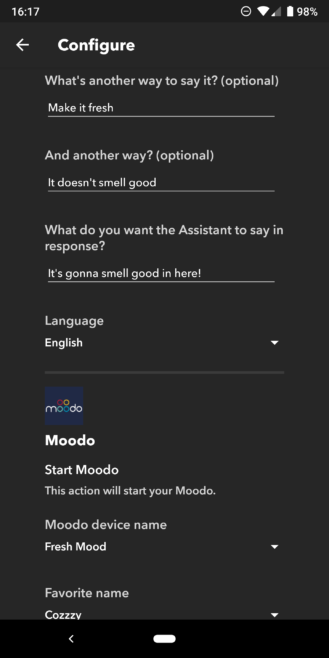 I asked the team about native integration, following Assistant's recent support for air fresheners, and was told it's being worked on. For now, you can have Moodo start a specific scent from your favorites, power on/off, enable/disable interval, and increase/decrease the fans using the existing action. Though keep in mind that any user in your house will have to add the Moodo account to make this work for them (Actions are voice-dependent). Once native integration is implemented, things should be seamless. 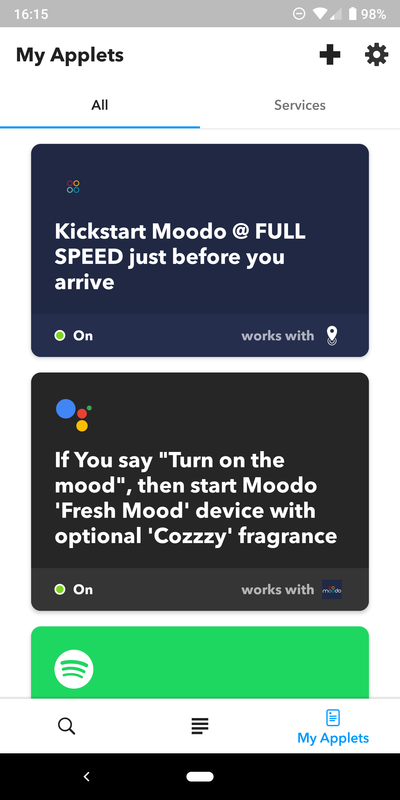 Another way to avoid the voice limitation and the wordy command is to just use IFTTT to make your own voice triggers for Moodo. In my case, a "Hey Google, make it fresh," turns on the air freshener and Google answers with a cheerful "It's gonna smell good in here!" 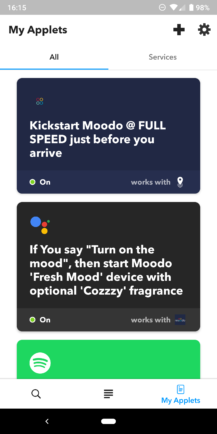 Other IFTTT automations for Moodo are possible too. 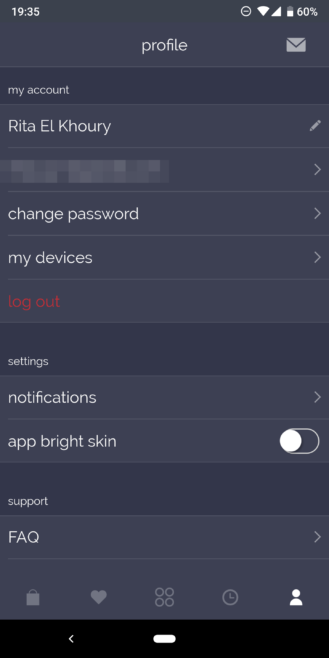 You can kickstart it before you get home, turn it off when you leave, set it to follow your Hue lights schedule, and more. If Google Assistant or IFTTT aren't your cup of tea, Moodo is also compatible with Amazon's Alexa (old skill, new one), and also offers more integrations with Siri, Homebridge, and through its own API. Maybe. 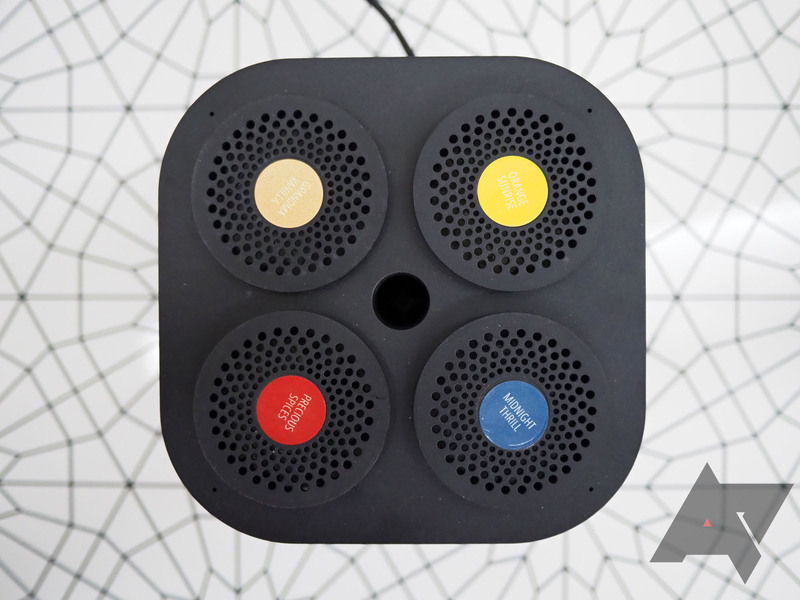 Moodo is a cool item to have and one that will make your house or apartment feel more homey. Just like you might get a few Hue bulbs to decorate your living room, or a speaker to play your favorite music, choosing the scent in your house is a personal endeavor, and can go a long way in helping you get relaxed, cozy, and your guests feel welcome. But the problem with scents is they're ephemeral, so you'll need to not only account for what you're paying outright for the device, but also all the capsules you'll be buying. I've had Moodo in my 28sqm (300sqft) living room (with open access to the entryway) for a couple of months. Every evening when I get home and open the front door, the first thing that greets me is a whiff of vanilla, spices, and orange. It's so nice. And it stays there during the evening while we're having dinner or watching TV, though we notice it a little less and less as the hours pass. I don't have to worry about turning it off before I go to bed, or about it running all day when I'm not home. It's a convenience and a luxury. By now, the smells have faded a little and I suspect I'll have to switch to new capsules soon. But I won't forget how many times Vanilla Spice played tricks on my brain! In my time with the device, though, I kept thinking that it didn't have to be this big, or this sophisticated. The four-scent approach, while seemingly interesting, isn't much more than a glorified gimmick. 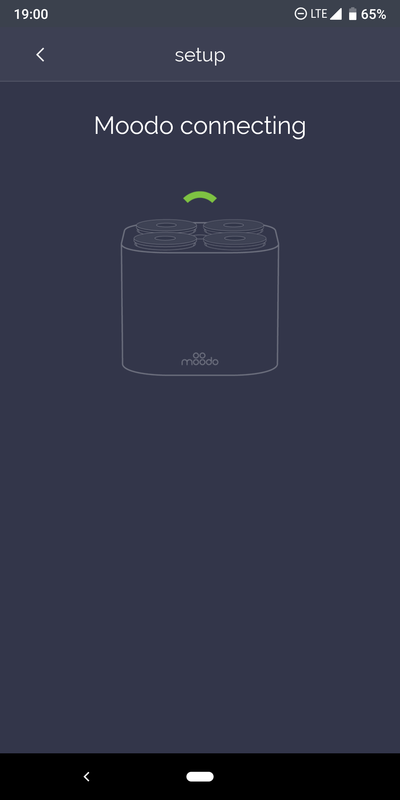 A smaller Moodo with two pods, perhaps even one, would do the job for most rooms and spaces. 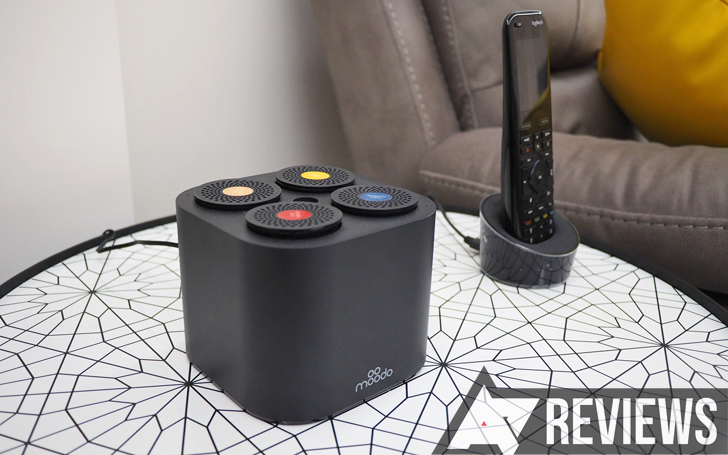 You don't need all the bells and whistles; you just need a few good scent choices, a schedule/interval feature, and some connectivity options to implement it in a smart home setup. For $50 or so, with 2-pack refills at $15, it could be a great affordable option. The company already announced a super stripped-down MoodoGo for cars, but I hope it's considering a real middle-ground Moodo Mini at some point. You love the tech and you don't mind the price tag. You want an air freshener that runs when you need it, not a minute more. 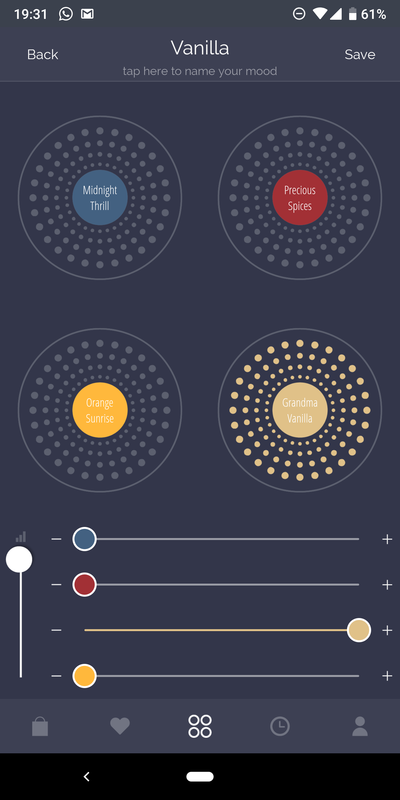 You feel like experimenting with different smells and aroma combinations. You want your air freshener to work without fuss, buttons, apps, or WiFi. Smells are overrated. Just spray Febreze or Dettol on everything, and it's enough.